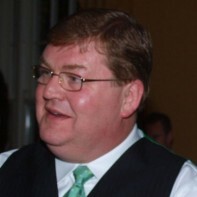 Eric Doyle Higgins is a former Fianna Fáil member running as an independent candidate in Kildare North. The 54-year-old is a chartered management accountant with a masters' degree in finance. Doyle Higgins' online manifesto states that he will never "pursue the interests of Kildare North with indifference to the overall National Interest" or "otherwise engage in political gombeenism". Higgins is a strong advocate for the recognition of Irish Sign Language (ISL), and believes more public servants should achieve a measure of proficiency in ISL.